There is a whole generation of young people that have grown up with photography and videography capabilities at their fingertips; whose idols are YouTubers and Instagrammers as much as they are footballers and movie stars, and who are building careers as travel, fashion and food photographers using nothing more than the phone in their back pocket. Canon, a brand known mostly for its hardware and product-centric marketing, recognised this new landscape as an opportunity to engage with an audience beyond hobbyists and professionals. Alongside the TV, DOOH, Cinema, CRM, Retail, VOD, PR, media partnerships and Social, all of which has been re-thought to reflect this new purpose and positioning, Canon have launched an influencer campaign with model, actress and world-famous storyteller Zoe Kravitz ‘365 Days of Summer’. The campaign encourages people to share their stories of summer using the hashtag #LiveforTheStory, for the chance to chase summer around the world for a year. 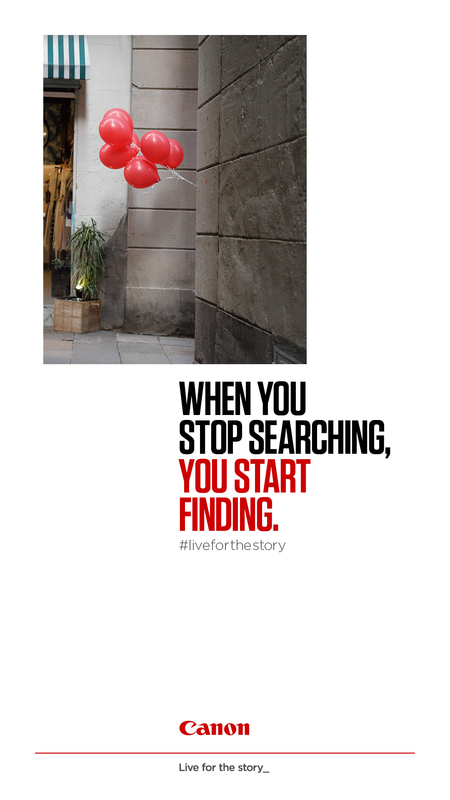 ‘Live for the story’ will run across 19 markets throughout EMEA. It is VCCP’s first campaign for Canon following our appointment as their lead European creative agency at the end of last year.